Find a local Plunge near you! Help us break the Guinness World Record for the largest Polar Plunge ever! Break the ice to break the record! Every winter, Special Olympics Washington hosts one of the season’s biggest parties: Polar Plunge! This year in Seattle, we’re going for the Guinness World Record. 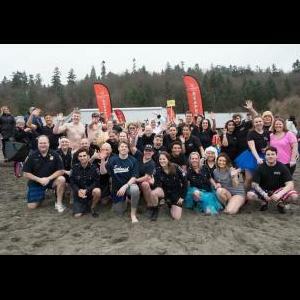 Be one of 2,000 plungers on Alki Beach on February 23rd, from 9:00-3:00, for a fun-filled day both in and out of the water. See a Polar Plunge Poster? Post a selfie on Instagram, tag it with #BigPlunge2019, and challenge your friends and followers to take the Big Plunge on February 23rd. Find other local Polar Plunges around the state and help raise money for Special Olympics Washington. Whether you’re looking to dip your toes in or make a big splash, you’ll be changing lives of 18,000 Special Olympics athletes across Washington state. Find a Plunge Near You!